Do I need a Drill Press? Drill presses really make woodworking and metalworking projects go by much more quickly. The real reason why professional and serious DIY-ers rely on drill presses is that they drill accurate and repeatable holes into all sorts of materials. In this article, we’ll go over why you should consider getting a drill press and what sort of features you should keep an eye out for different drilling projects. You might be wondering why you even need a drill press to begin with. After all, can’t your power drill do everything that a drill press can with the added benefit of portability? In all honesty, with the right power drill (motor power, chuck size, and drill bits), it probably can. However, there are several factors that can ruin the drilling process, and the drill press has eliminated them completely. The first thing is the depth adjustment system that produces identically deep holes every time. 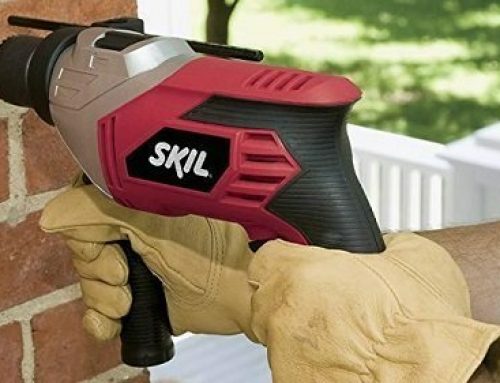 A power drill’s performance is limited by the steadiness of the user’s hand and keenness of their eye. You could always use tape mark how far the bit should reach, but it won’t guarantee perfect results. A drill press’ depth adjustment system gets rid of all guesswork involved. But arguably the best advantage of a drill press is its ability to produce identical cuts across multiple workpieces. Simply adjust the depth gauge, set the worktable clamps or locks to accommodate each piece, pull the lever, and you’re finished. You can bore hundreds or even thousands of holes in just a few hours of work. Like many power tools, drill presses come in all shapes and sizes. The three main types of drill presses are floor models, benchtop models, and magnetic drill presses (mag drill). The main difference between freestanding floor models and benchtop models is the travel distance of the spindle. The former allows for thicker stock to rest on the worktable and drill out deeper holes. They also come with stronger motors for digging deep into hardwoods. However, benchtop drill presses are still a worthy choice, even for professional carpenters and construction men or women. Mag presses, on the other hand, are a more specialized tool for heavy-duty construction work. They feature magnetic bases – hence the name – that attach to metal surfaces. 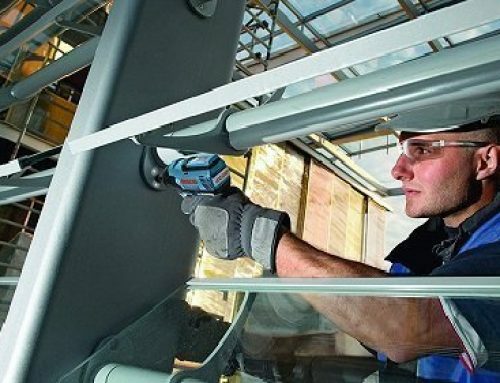 This allows the tool to work both horizontally and vertically on metal beams. 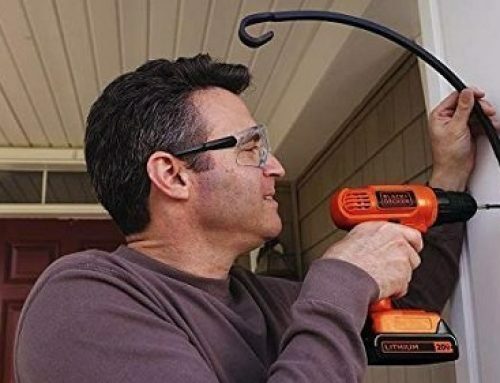 For the average DIY-er, this is definitely NOT something you will need. The following sections will provide you with information regarding what sort of specs and features are most crucial for certain jobs. Our guide will be divided into three major portions: drill press for metal, drill press for woodworking, and drill press for plastic. Any metal press that can drill through metal is versatile enough to be used on other materials as well, but it’s typically not the other way around. This guide will describe the various features and specs that make a drill press usable on metal pipes, bars, and conduits. For drilling through metal, the drill press requires a pretty powerful motor. That’s assuming that you’re working with thick, 1-inch pieces of metal. If so, a 1/2- to a 1-horsepower motor should be more than powerful enough to do the trick. 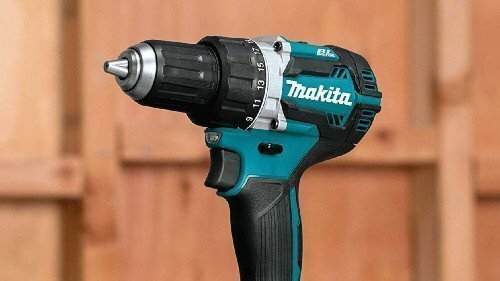 Amateur DIY-ers might think that speed and power combined will drill through metal like it was nothing. 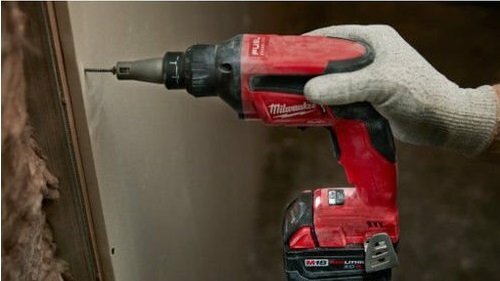 However, even though that may be true, penetrating metal surfaces at high speeds won’t do your drill bit or the drill press’ motor much good. A good metal press should have adjustable drive belts that range from between at least 500 to over 1,000 RPM. This’ll give the tool enough speed to work on all types of materials. The size of the chuck indicates how large or small of a bit the tool can handle. We’d recommend going large – ½ to 5/8 of an inch – since they can hold onto smaller bits as well. You may also want to get a keyed chuck as well to ensure that the drill bit doesn’t go flying across your workshop as it spins. Speaking of bits, a good bit for drilling through metal can be any cheap HSS bit that comes with the tool. You can also purchase replacement HSS bits at a relatively low price. They’re effective and drill through metal sheet and bars without too much burr. Just make sure that the bit is well lubricated to prevent burns and to extend the life of the bit. There are several things regarding the work table that you need to be aware of. The first thing is the dimensions of the table. Wider tables can support larger or longer objects, providing better accuracy when plunging the drill head and bit into the piece. Second, take a look at the clamps or locking system that comes with the worktable. 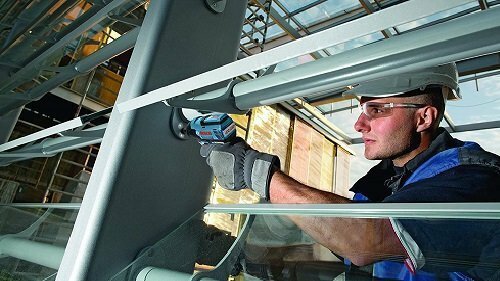 The clamping system should be able to hold onto any piece you wish to drill with the tool. It’s possible to use a makeshift clamping system with whatever you have in your workshop, but it’d be nice if the tool’s worktable comes with one for you. Finally, the tilting capability of the table is also another important consideration for drilling into odd-shaped objects or at various angles. Most tables can tilt up to 45° in either direction, while others can go as far as 90. The distance in which the spindle travels is a direct indicator of how thick of a piece the tool can drill. Some drill presses for metalwork have a limited travel distance of only 2 inches, whereas others can travel as 6 or more inches. However, how thick of a piece the tool can drill is reliant on the size of the bit and power of the motor. Furthermore, if you’re working exclusively with sheet metal or thin bars and conduits, maybe a 2- to 3-inch spindle travel would be ideal. Drill presses for woodworking projects are similar to those for metalwork, but they don’t need to be as powerful. In this section, we’ll go over what makes for a high-quality drill press for woodworking. 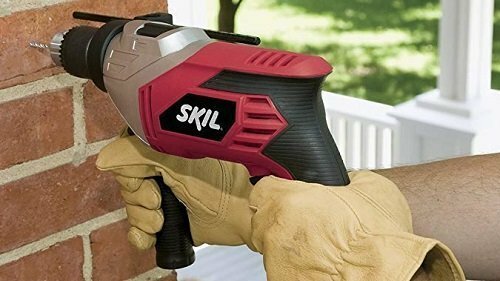 A drill press’ motor is obviously one of the most important considerations to make, but when it comes to woodworking, the motor doesn’t need to be exceedingly powerful. A 1-HP motor is the most versatile – e.g. useful for metal and wood – but if your workshop is in need of a wood-exclusive drill press, a simple 1/3- or even ½-HP model is sufficient. However, we’d recommend going for a larger motor if versatility is a priority. Drilling through wood can be done at a higher speed than metal without leaving burn marks or burrs. But variable speed is still important if you wish to increase the range of usage of your drill press. A good drill press has at least three drive belt positions that deliver between 500 and at least 3,000 RPM. Some can even be adjusted without manually tampering with the drive belts. The maximum distance that the spindle travels should depend on what you’re dealing with. Obviously, thicker stock requires a greater spindle travel distance. Woodworking drill presses typically move between 3 and 6 inches per turn of the lever, and the handy depth gauge system prevents the bit from penetrating too far deep into the workpiece. Some models even allow users to adjust the height of the table depending on the stock’s thickness and desired drill depth, so there are many ways you can modify the depth of the drill based on your needs. We’ve talked about how the size of the worktable supports the stock in the previous buying guide, and the same rules apply here. We’d recommend getting any unit with a table of at least 12 x 12 inches but feel free to go larger or smaller depending on your work. For woodworking, the ideal chuck size would be between ¼ and ½ of an inch, but your project may call for drilling as wide as 1-inch holes. Feel free to choose the appropriate chuck size based on what your current and future projects need. But the main thing to consider is the types of drill bits used. There are plenty of woodworking drill bits to choose from, but the most simple is a spiral bit made of HSS. Carbide drill bits are also great if you have a healthier budget and are looking for a long-term solution for drilling. HSS bits, on the other hand, will wear down with use and require frequent replacing. Even though LEDs or laser guides aim to ensure accuracy, they can be a bit of a pain to deal with. We can’t really recommend prioritizing laser guides as they’re used more as an estimate rather than a guarantee. However, you also shouldn’t disregard any models that come with them. Perhaps you’re thinking of creating a hydroponics system for your backyard or need several hundreds of feet of plastic drilled at a specific width. A drill press can be an invaluable tool for repeatable holes throughout the length of plastic piping. Let’s take a look at what features to pay attention to when shopping for plastic-drilling drill presses. 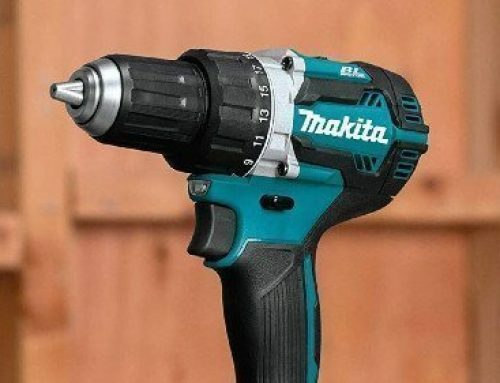 Since plastic is a much more brittle object than wood and metal, drilling through it doesn’t require a strong motor. You can get by with a simple 1/3-HP benchtop model for drilling plastic and wood. The worktable is probably the most important thing to consider in a plastic-drilling drill press. First of all, it needs to be large enough to accommodate the size of plastic objects you’re drilling. Although the size of the table depends on what you’re doing, we’d recommend going no smaller than 12 x 12 inches. But the clamping system is the thing that’s worth paying extremely close attention to. 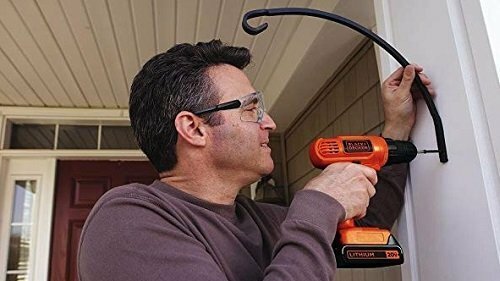 Since the most popular plastic piece that’s drilled using a drill press is plastic piping, you’ll want to ensure that the clamps can hold onto the piece without it wobbling or eventually falling to the floor when the bit pierces the surface. The size of the chuck nearly isn’t as important as it is in metal and woodworking drill presses. What matters is that it’s large enough to hold onto whatever bit you plan on using and that it’s keyed to prevent the bit from becoming detached. As for the drill bit, the most effective type is something known as a spur-point bit or dowel bit. The design of these bits is made so they penetrate the surface of soft materials at an angle, effectively reducing friction which in turn prevents the bit from overheating. The result of using a spur-point bit is a neat hole. However, you may need to countersink the plastic workpiece prior to actual drilling. Similar to woodworking drill presses, drilling can be done at high speed, with or without the aforementioned spur-point bit, without producing a ton of heat. However, we’d recommend keeping it slow and simple. Any model that produces anything between 500 and 800 RPM, which is practically any drill press, benchtop or otherwise, so finding the right unit for plastic really isn’t all that difficult. A drill press is one of the most versatile and reliable tools to have in the workshop. 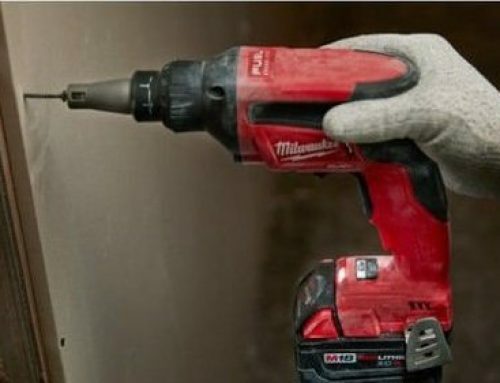 If you need to make repeated holes in hundreds or even thousands of feet of material, with proper adjustments, a drill press can make the job go by in no time at all. In today’s article, we’ve divided our buying guide based on three commonly used materials in the workshop – metal, wood, and plastic. Depending on how versatile of a drill press you need, a single unit can be used on all three materials or just one of them. A drill press for metal needs to be powerful to push the drill bit deep into metal sheets, pipes, or bars. If you need one for large I-beams or other similar metal pieces, consider getting a mag press which costs way more than a simple floor or benchtop drill press while also being limited only to metalwork. Woodworking drill presses don’t need to have the most powerful of motors unless you plan on using it to drill metal. What’s important is that it uses the right bit and works at high speed – up to at least 3,000 RPM. As for plastic drill presses, these are the most basic types on the market. You can get by with a small 1/3-HP model that generates around 500 RPM to remove material from plastic workpieces. For drilling through plastic, make sure to invest in a specific bit known as a spur-point or dowel bit which reduces friction and prevents melting of the plastic and damage to the bit and chuck.